Well, there is more to paint on the Southern Oregon Coast than the ocean. 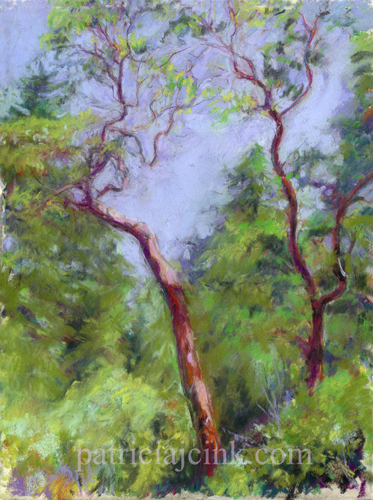 The local plein air group is focusing on ‘Iconic Trees of the South Coast.” These Madrone trees have a red/orange peeling bark and curling branches and stick up above the evergreen forest. They were really fun to paint. Definitely not Midwest trees.